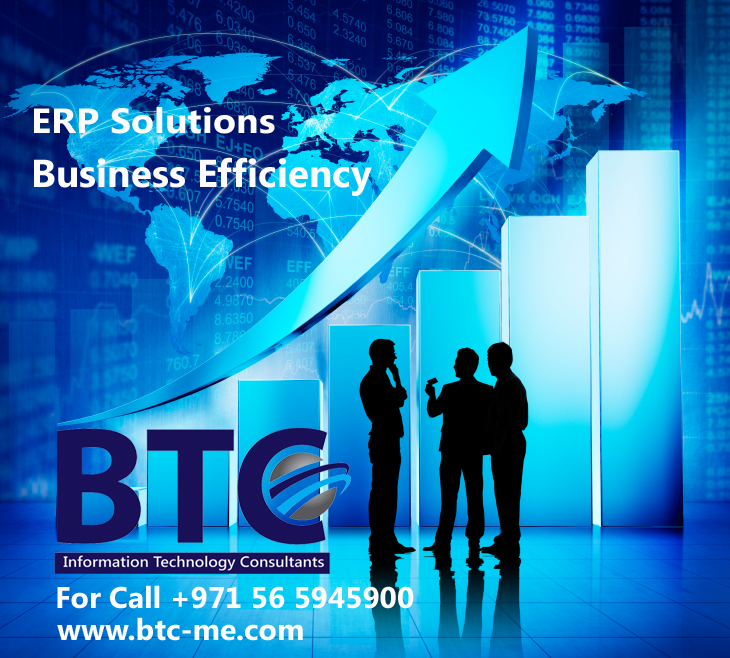 One of the most important aspects of using ERP in a business environment is that it improves efficiency manifold. It integrates applications empowering employees to share important data with instant access for others. This sharing of data ensures easy access to key information like analytics and business intelligence. You do not need to ask your company’s Managers or other senior management to analyze data for you, prepare reports and interpret it for future business decision making. The users can rely upon the repositories to analyze data and generate reports. The new ERP systems have moved away from the “canned report culture” that generated automated reports based on batch processes. The new ERP solutions offer greater flexibility in generating different kinds of reports, allowing you to pull in the latest data on real time basis to get the most current applicable information. This freedom of getting information related to any given period gives more accuracy to the decision making process. You can use the drag and drop features of the modern ERP systems to further personalize the reports. Ad hoc capabilities have made the modern ERP systems a lot more powerful. Modern business organizations in UAE are already taking benefit of these advanced reporting features supported by the ERPs. Information technology is fast changing the business landscape. ERP systems are equally beneficial for IT companies. The new ERP solutions rely upon the standard based applications offering support for various hardware platforms, operating systems, and multiple databases. The standard based ERPs make the processes a lot faster, cost efficient and easily compatible with different IT systems. This approach also enables IT companies to implement ERP systems with greater independence without worrying about compatibility issues. The standard IT tools also offer greater protection to the system and help optimize the operations. In the traditional systems each employee entering data into the system had to individually share it with the rest of the company. There can be numerous examples of that. For example, a person doing sales would have to enter the data into different account. This happened mainly because of lack of data integration capabilities. This sales data which was connected to so many other departments had to be retrieved by relevant department personnel like for example, Accounts Department responsible for ensuring collection of Accounts Receivable accrued due to credit based sales. A lot of organizations work on multiple locations, locally or internationally. They have other subsidiaries, divisions or departments that are located away from the main business office because of strategic business reasons. The modern ERP systems help you easily streamline the processes spread geographically and also improve collaboration, enabling your company to act as a single entity in terms of making centralized decisions. The support is offered to all offices regardless of the fact that they are located locally or internationally. You can easily customize the business processes to meet the requirements of the various offices located at different places. This also means easily supporting different languages, currencies, sites, companies and complying to applicable local regulations. Despite of the fact that ERP supports standardized business processes, it gives the flexibility to support companies in different ways. Many of the non-standard processes can be standardized using the ERP solution. For example, an end user who has to enter a particular type of data may customize the entire process by adding new fields which have not been previously added to make the information more relevant and useful. Similarly, in terms of customization, many ERP solutions can be bought by the types of modules that you need instead of buying the entire package. This ability to only buy modules that you need helps you save cost while still guaranteeing all your business needs have been adequately met. How To Implement VAT In UAE?